The Washington Post is owned by Jeff Bezos, one of the wealthiest men in the world, with a net worth of $78 billion dollars. He also owns Amazon and a variety of major television outlets. Throw Slate Magazine into the mix—an exclusively left of center news and entertainment magazine—and you have but a fraction of the holdings that one of the richest men on earth controls, through one of the largest corporations on earth. But, hey, they’re clearly for the little guy, as multinational conglomerates tend to be. Or, so they tell me. When Bezos took over the Washington Post, he cut the pensions of the Post’s employees, imported a significant number of foreign born workers to cut costs—and, as one might expect, is an avid supporter of open borders. You’d think that all that talk about evil corporations, being the bane of our existence, would compel liberal activists to look at who’s signing their checks. But I doubt that such self-reflection will happen anytime soon. How about the New York Times? I bet they’re owned by a mom and pop group of benevolent liberals? Sorry. 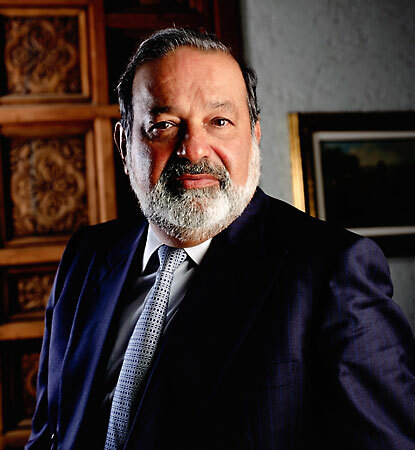 The New York Times biggest shareholder is the richest man in Mexico, Carlos Slim. Slim was also the richest man in the world in the world, way back in 2013. Today, he is merely one of the richest men in the world, having fallen a notch or two, just below Microsoft titan, Bill Gates and Jeff Bezos. Carlos Slim, not surprisingly, is for open borders, as well. I guess having a net worth that is 6% of Mexico’s total gross domestic product isn’t enough. Currently, Mr. Slim owns not only the largest share of the New York Times, but holds significant shares of a number of other American owned companies, including English and Spanish language media companies. How about former New York Mayor, Michael Bloomberg? Bloomberg has a net worth of about $47 billion dollars, is currently the 8th richest man in the world, and like Bezos and Slim, he believes in open borders. Bloomberg’s financial empire includes Bloomberg News, Bloomberg Businessweek, newspapers, print magazines and a variety of media outlets. ​All of these men openly supported Hillary Clinton through their media empires, as well as through financial donations. They are also dogged enemies of Donald Trump. But, let’s not forget, they’re all for the little guy. Why are they for open borders and mass immigration? Is it because they love minorities? No. They can increase profits for shareholders, which increases their wealth, by lowering labor costs. That’s it. It’s not some insidious conspiracy. It is plain old greed and the desire for power. These policies negatively affect every American's wage, especially the working class, Black, Brown or White. I could go on and on about who controls what, and how they influence what we see and hear. This is just a tiny tip of the iceberg. At the very least, my hope is that this should make people think before they say something as uniformed as “Liberals are for the little guy, and republicans are for the rich.” Both parties serve the rich. It is Donald Trump—the unexpected thorn that pierces their side—who is the real outsider. Just look at his enemies, and who’s paying their checks, and you will see the truth in it. Now grow up America! Grow the hell up!